A series of three webinars designed to introduce you to the more common cancer associated with blood and blood production sites. A knowledge of blood cells and their developments holds the key to understanding these diseases, and that is where we begin. Following on from this, each webinar will take you through the epidemiology, risk factors and signs and symptoms associated with these diseases. Each webinar will culminate in looking at the treatment options available. 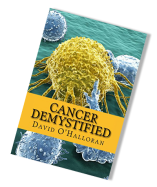 Very suitable for those new to the field of haematology related cancers. MDT coordinators, clinical coders and clinical trials staff will find these webinars particularly enlightening. Oncology nurses working in this field will gain and further cement lots of knowledge and understanding about these diseases. MSOs with pharma industries, cancer registry staff and those working within cancer charities will all find these webinars useful for their daily roles. To help you understand leukaemia this webinar will first introduce you to blood cells, and their development. A grasp of this, along with a knowledge of the functions of these cells, will allow you to understand how leukaemia evolve and how they manifest themselves. Chronic myeloid, acute myeloid, chronic lymphocytic and acute lymphoblastic leukaemia will be covered and you will gain a good grounding in how these diseases progress and the likely treatment options available. In this webinar, you will be introduced to the concept of fusion genes (BCR-ABL, PML-RARA) and their role in certain types of leukaemia, and how a knowledge of these genes has led to the development of very useful targeted therapies. Lymphomas can be broadly divided into Hodgkin and Non-Hodgkin lymphoma, and affects your T and B white blood cells. In this webinar, you will learn the differences between the two types of lymphoma and indeed the sub categories within each type. Particular emphasis will be placed on understanding the Ann Arbor staging system and the role of B symptoms in a patient’s diagnosis. During the webinar, you will learn about the likely treatment options available for lymphomas and you will be introduced to common chemotherapy regimens (ABVD, CHOP) and understand what they are and how we use them to successfully treatment a lot of lymphomas. Lots of terminology you come across when dealing with lymphomas will be explained leaving you with a sound overview of lymphomas which will allow you to fulfil your roles with more confidence. In this webinar, you will learn the origin of myeloma. B Cells will be introduced along with their function. Myeloma tends to present through an excessive production of antibodies. What are antibodies? And, why do they matter? You will be introduced to the acronym CRAB, which will allow to understand why patients present with the signs and symptoms that they do. Throughout the webinar, you will learn the similarities and difference between MGUS, Smouldering and symptomatic myeloma and the likely treatment options for myeloma will be explored.